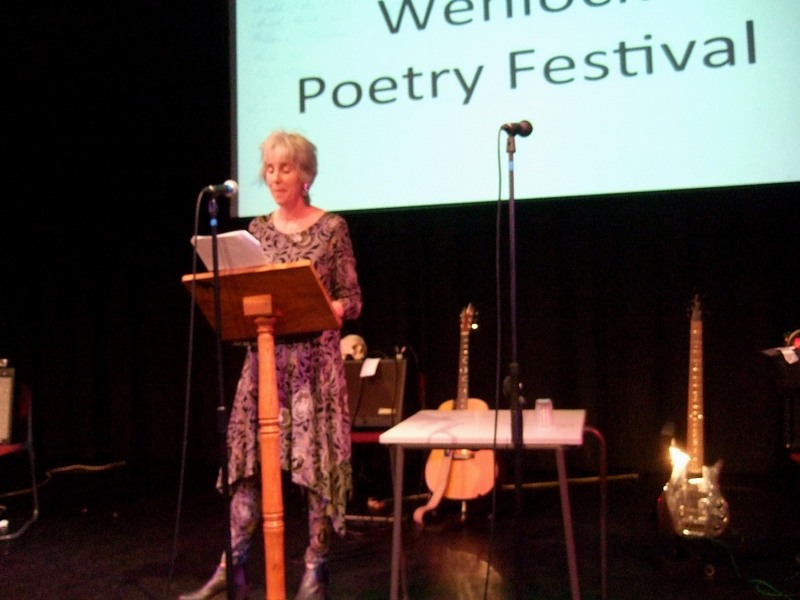 Wenlock Poetry Festival is so good on new things – and in 2015 a great New Thing was the Poetry Busk. 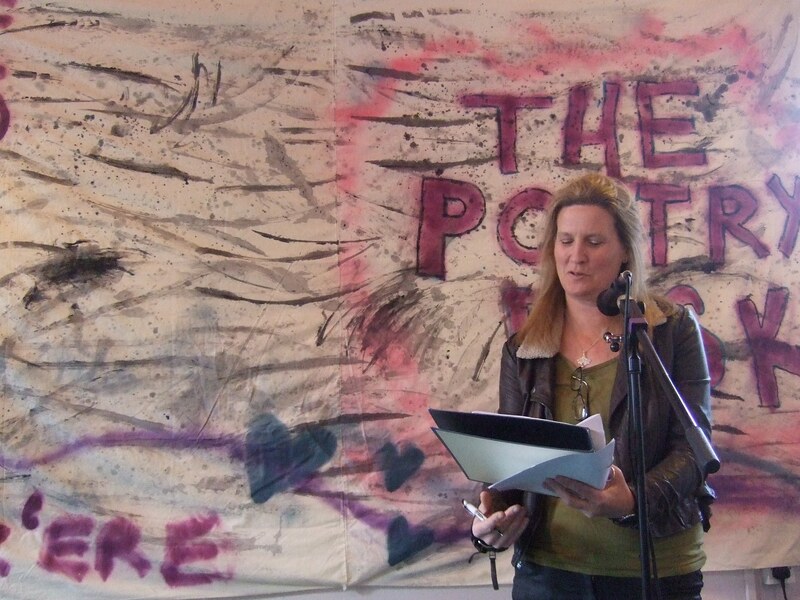 Designed and compered by the wonderful Liz Lefroy, the Poetry Busk packed in ten hours of non-stop poetry, in which so many voices were heard ‘below the Sheet’. Here’s Liz in front of the Sheet. Jean Atkin, David Bingham, Steve Mearns, Kate Innes, Bethany Rivers, Suzanne Iuppa, Liz Berry, Andrew McMillan, Oliver Jones, Ted Eames, Keith Chandler, Ruth Cameron, Cathy Dreyer, Anna-May Laugher, Jonathan Edwards, Paul Francis, Emma Duffee, William McCartney, Lucy Cunningham, Immy May, Rennie Parker, Tanya Prudente, Adrian Perks, Vuyelwa Carlin, Charlie Wilkinson, Pauline Prior-Pitt, Ross Donlon, Jonny Denfhy, Colin Sutherhill, Tina Sederholm, Steve Thayne, Carol Caffrey Witherow, Hollie McNish, Josh Ekroy, Tom Wyre, Adrian Blackledge, Mary Cunningham, Gary Carr, Emma Purshouse, Graham Attenborough, Tom Wentworth, Nadia Kingsley, Martin White, Barry Tench, Dorothy Anne Prescott, Chris Kinsey, Robert Peake, Kevin Bamford, Roz Goddard, Jeff Phelps, Steve Griffiths, Emily Wilkinson, Jay Walker, Di Slaney, Lindsey Holland, Anna Lawrence, Lottie Holder, George Morehead, Rajesh Bhardwaj, Liz Lefroy, and Steve Harrison. Everywhere, this year, was the 52 group, a torrent of talent set going by the amazing Jo Bell, who launched her new collection Kith (from the hugely impressive Nine Arches Press) to great acclaim. 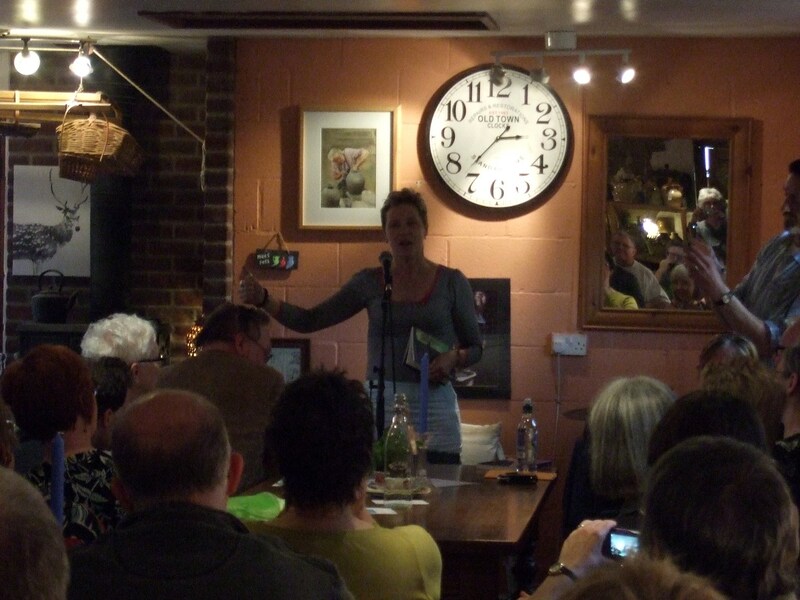 Here she is, reading to Wenlock Pottery, absolutely stacked with 52-ers. 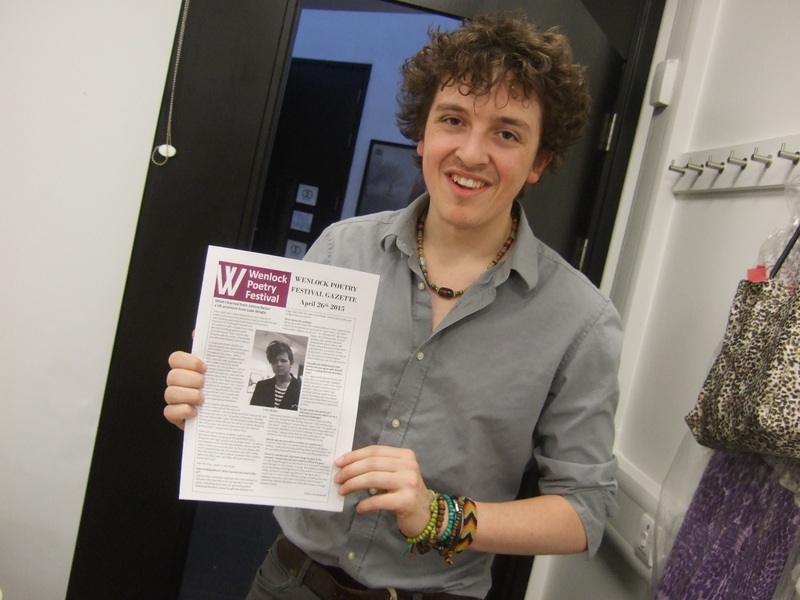 Here is Dominic Hammond, one of the team of young reviewers, holding up the incisive and incredibly professional Wenlock Poetry Festival Gazette, knocked out simultaneously to the events it described. No kidding. And the Finale. Just after I finished my first set of poems, and was sitting next to Carol Ann Duffy watching Imtiaz Dharker perform her beautiful work from Over the Moon, I had a real moment of unreality, followed by such a rush of happiness and gratitude for this weekend, and all its wonders. And LiTTLe MACHINe doing Adelstrop, and Jabberwocky. Magic. Thanks so much Anna Dreda, Lisa Blower, Jade Cancelliere and all the team.